*Skin-whitening products are used often by Filipinos in the Philippines to make their skins lighter. Skin whitening clinics and businesses are popular in the Philippines as well. The “beautiful” people such as actors and other celebrities endorse these skin-whitening procedures. Children are told to stay away from the sun so they do not get “too dark.” Many Filipinos also regard anything “imported” to be more special than anything “local” or made in the Philippines. The historical and contemporary reasons for why Filipino -/ Americans display these attitudes, beliefs, and behaviors – often referred to as colonial mentality – are explored in Brown Skin, White Minds. This book is a peer-reviewed publication that integrates knowledge from multiple scholarly and scientific disciplines to identify the past and current catalysts for such self-denigrating attitudes and behaviors. It takes the reader from indigenous Tao culture, Spanish and American colonialism, colonial mentality or internalized oppression along with its implications on Kapwa, identity, and mental health, to decolonization in the clinical, community, and research settings. 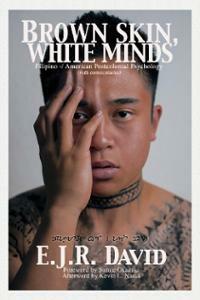 This book is intended for the entire community – teachers, researchers, students, and service providers interested in or who are working with Filipinos and Filipino Americans, or those who are interested in the psychological consequences of colonialism and oppression. This book may serve as a tool for remembering the past and as a tool for awakening to address the present.